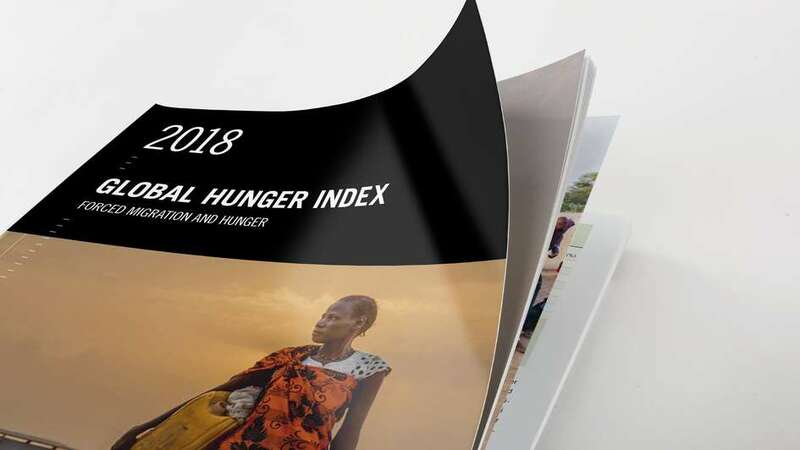 This year’s Global Hunger Index reveals a distressing gap between the current rate of progress in the fight against hunger and undernutrition and the rate of progress needed to eliminate hunger and alleviate human suffering. The 2018 Global Hunger Index—published jointly by Concern Worldwide and Welthungerhilfe—tracks the state of hunger worldwide and spotlights those places where action to address hunger is most urgently needed. 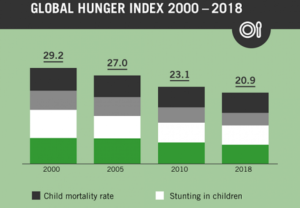 The results show that in many countries, and in terms of the global average, hunger and undernutrition have declined since 2000, indicating real improvements in the lives of millions of men, women, and children. 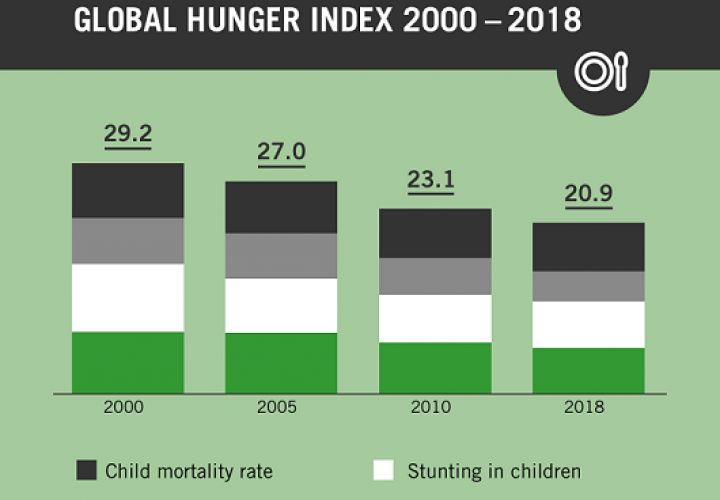 At the same time, while progress has been robust in some parts of the world, in other parts hunger and undernutrition persist or have even worsened. In too many areas, growing numbers of people still suffer the indignity of hunger and the insecurity of forced displacement. The statistics are both staggering and sobering. 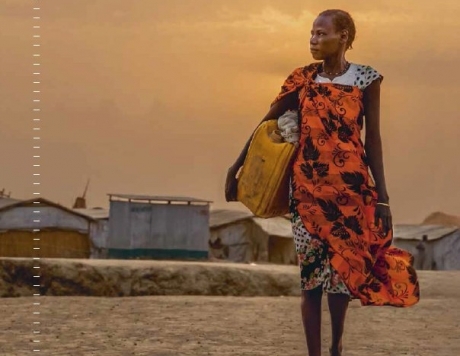 Approximately 124 million people suffer acute hunger, a striking increase from 80 million two years ago, while the reality of hunger and undernutrition continues to have a massive impact on the next generation. About 151 million children are stunted and 51 million children are wasted across the globe. Hard-won gains are being further threatened by conflict, climate change, poor governance, and a host of other challenges. Despite evidence showing that real progress is possible, the root causes and complex realities of hunger are not being adequately tackled. In 2015 the world’s countries committed to achieving zero hunger by 2030. We are not on track to meet that goal. This year’s report shows that the world has made progress in reducing hunger since 2000, but that this progress has been uneven, with levels of hunger still serious or alarming in 51 countries and extremely alarming in one country – the Central African Republic – which is now the hungriest country in the world. 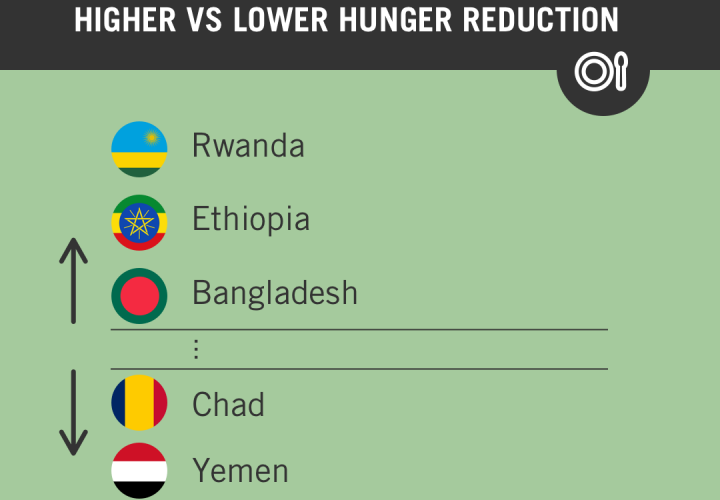 The results confirm that we are still far from a world free from hunger. While there are a number of factors contributing to this rise, conflict is one of the main drivers. Indeed, the bottom three countries of this year’s GHI – Central African Republic, Chad and Yemen – are in the midst of conflict, and in fact 60 per cent of the world’s hungry people live in conflict zones. The 2018 edition also has a special focus on the theme of forced migration and hunger.